MaxShine differs from its counterparts in that it has modest beginnings but huge aspirations. 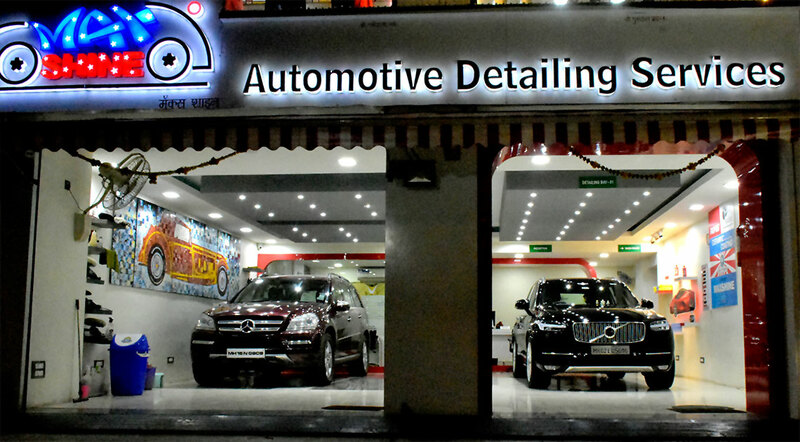 It is one of the first start-ups that provides automotive detailing as a complete service; the practice of polishing and the like has been present in the Indian market for a long time, but this procedure was hitherto done only as a sidestep. MaxShine took the concept to a new level by providing solely detailing services, so that the most prized possessions of customers, their cars, would look and feel as new as though they had just come out of the showroom. And it is not just the looks that we focus upon; periodically detailing your automobile also extends the life of your car. MaxShine is a comprehensive all-services provider in the field of automotive detailing and car beautification. We provide assistance for almost all grievances related to interior and exterior detailing, in addition to cleaning and polishing. And you can rest assured that MaxShine always does its detailing without overlooking the slightest detail. That is because we only employ trained professionals, and we ensure that they receive enough hands-on experience of even the smallest things. They are given exposure to international standards before they are allowed to attend real-life customers. And hence, when it comes to detailed detailing, there is just no parallel to MaxShine. All the customer needs do is entrust the automobile to us, and we shall take care of the rest. If the client requires some more major maintenance work or repairs to be made on the vehicle, we shall be more than happy to share our experience in the field by suggesting the best way out in the matter. Being located in the heart of the buzzing city of Thane, our area of operations extends to the entire metropolis of Mumbai, as well as all the suburbs up to Kalyan. Our modus operandi is extremely transparent and customer-friendly. First, we undertake a preliminary inspection of your automobile, and based on this we shall recommend the next step, the amount of work that would be ideally required and the cost for the same. If and only if the customer agrees do we begin our operations on the automobile, and we do no more than he/she agrees to. At MaxShine, the customer is an asset for us, and hence we go to all lengths to ensure that you receive only the best. Plus, all costs informed to the customer beforehand are final, and there are no hidden costs whatsoever. Reasonable pricing is a guarantee of MaxShine. What you see is exactly what you get. We make use of state of the art technology and equipments, along with tried-and-tested methods in the work we do. In the hands of the experienced and well trained detailers of MaxShine, they are all the more efficient and give cost-effective but extremely attractive and durable results. Every deadline promised is honoured without exception. It would have been impossible for MaxShine to have stayed in business for so long while maintaining its reputation if we had made use of non-standard equipment and ignorant employees. Customer satisfaction and gratification is what we perennially strive for, and hence providing a delightful customer experience is a revered objective at MaxShine. Unsurpassed performance, that’s what you deserve, that’s what we deliver. From our hands to your door, Pride in performance and so much more!!! Unit No. 1-5, Surya Vihar Society, Dandekar Colony, Panchpakhadi, Eastern Express Highway, Service Road, Thane West 400602. Eastern Express Highway, Thane (West) 400602.